My client for this cake requested a cake for a friend of hers who had just welcomed a baby boy. 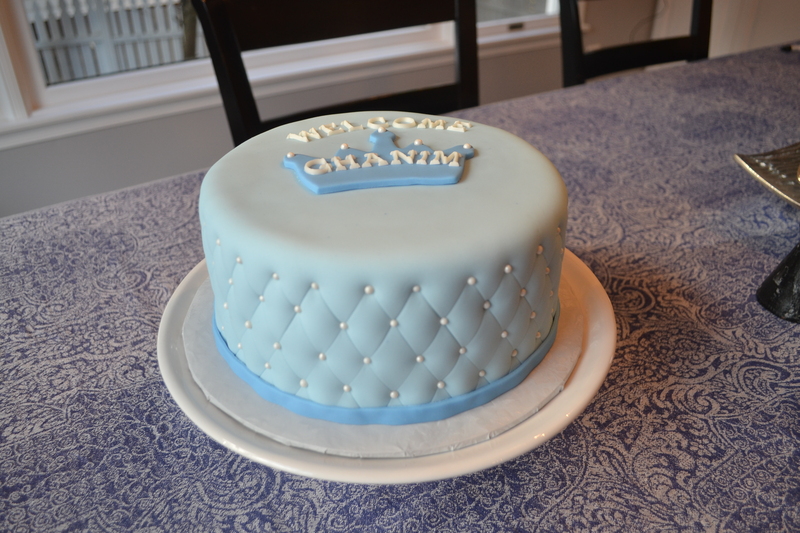 The theme was royalty, so I used a crown for the baby’s name and then the quilting technique for the side of the cake. Of course, this cake would also be perfect for a baby shower.